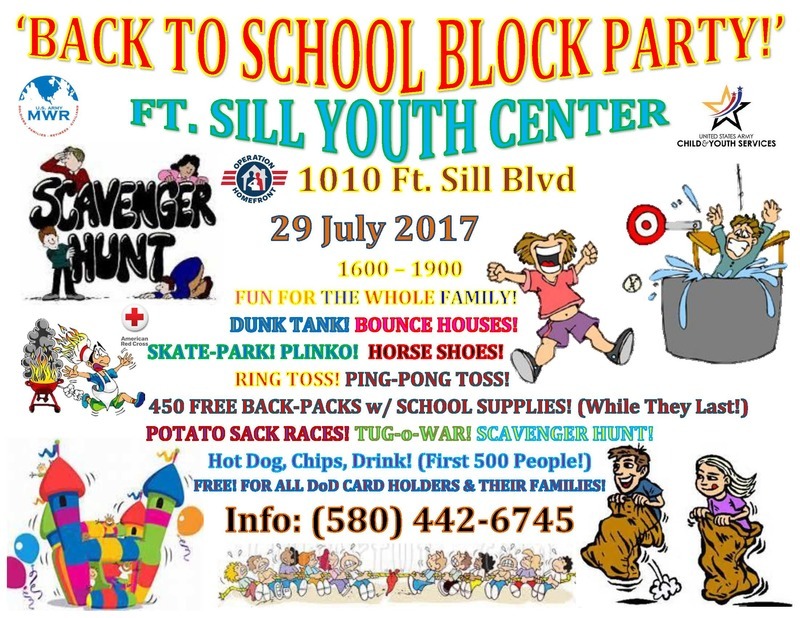 Here's a great opportunity to enjoy some quality family time at the Ft. Sill Youth Center! It's FREE for all DoD card holders and their families! The event starts at 4 p.m. and ends at 7 p.m.